DO YOU WANT SOME ADVICE? Your LiKAMED experts will be pleased to help you. 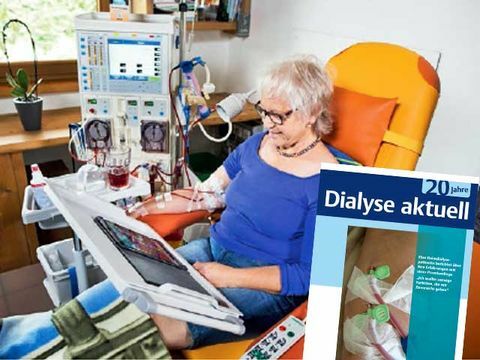 Home dialysis patient, Carola Wehn, has furnished a pleasant room in her house in Bergisches Land, in which she spends around 4 hours every day. In the middle, there is a LiKAMED brand SENSA Premium day bed. Home dialysis patient, Carola Wehn, has furnished a pleasant room in her house in Bergisches Land, in which she spends around 4 hours every day. In the middle, there is a LiKAMED brand SENSA Premium day bed. This is the comfortable centrepiece on which the 57-year-old completes her daily dialysis sessions. In the interview, she explains why she chose this manufacturer of medical day beds, beds and medical technology.